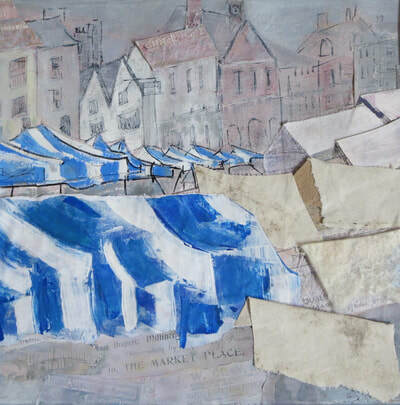 Sue Barry is a mixed media artist with a background in textiles. 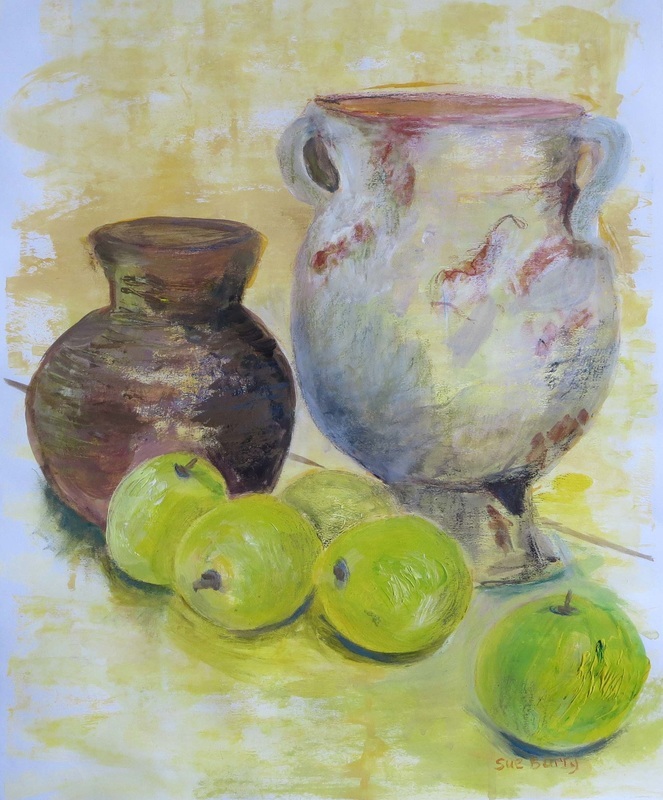 Sue's inspiration evolves from observing landscape and still life. 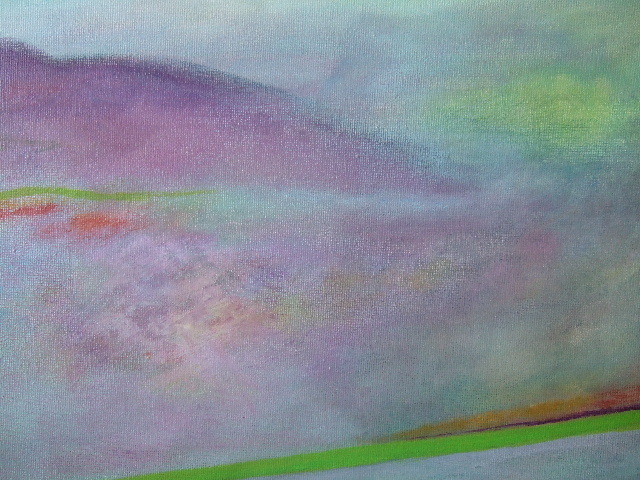 She likes to suggest a mood, a narrative. 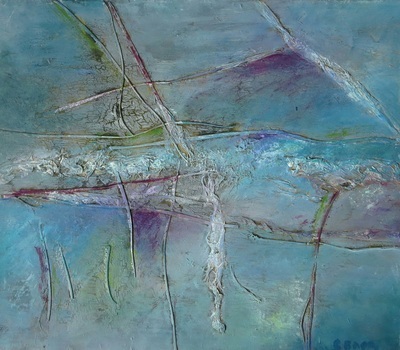 The process of peeling back the detailed layers of elements of a painting, to an abstracted version helps her to question her ideas. 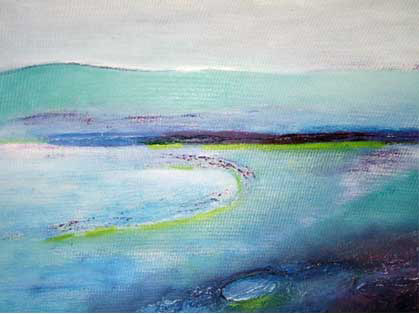 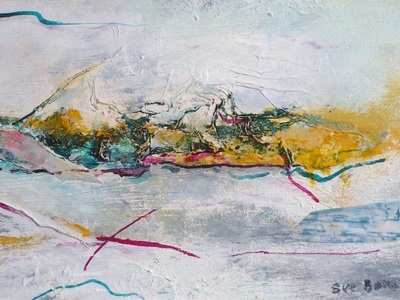 This has led Sue to explore different energies she perceives when she is in a landscape. Sue's aim is to move from the literal response to what she sees, to see in another context. 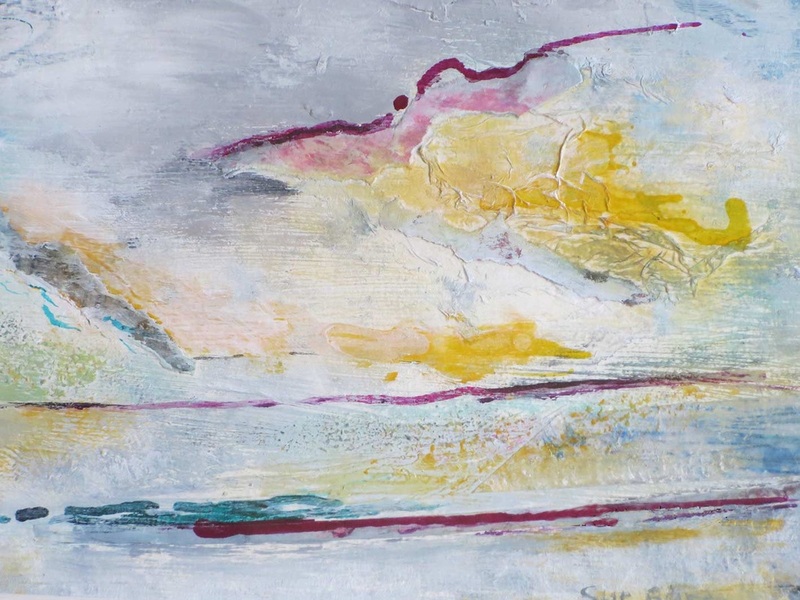 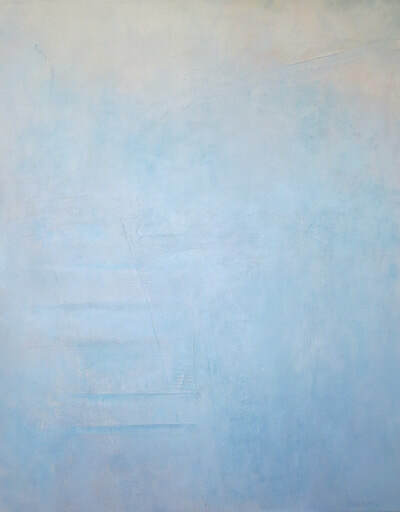 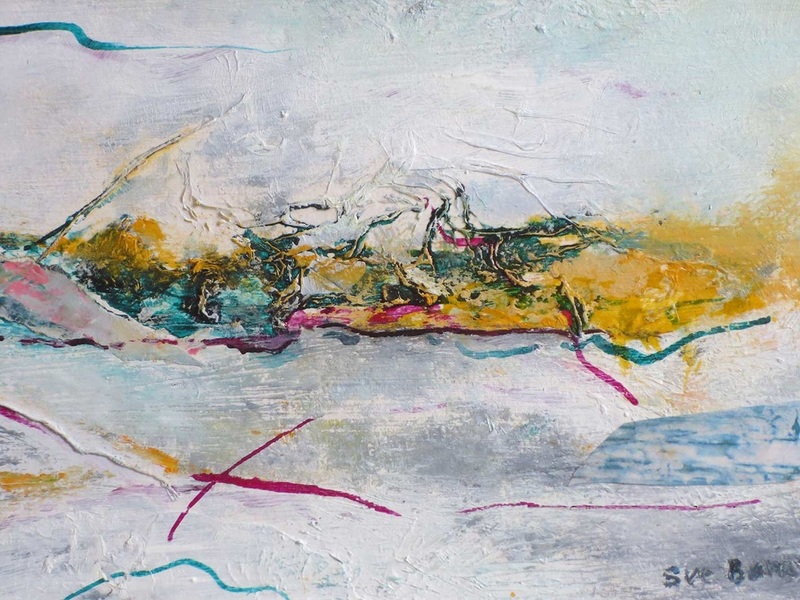 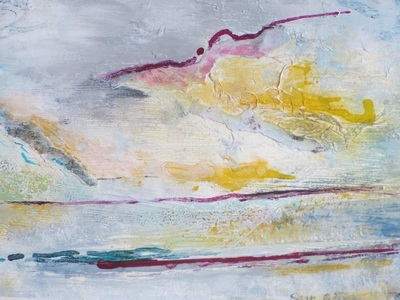 During this process, some of Sue's paintings have developed into a meditative response. Placing artwork in Nature also is of interest, and creating mixed media felt for a different environment, away from being product based, excites her. 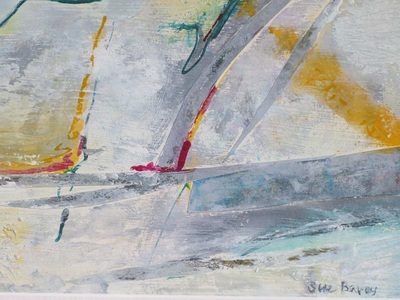 Sue enjoys responding to various themes, and ‘Nuneaton Passing Through’ and ‘Convergence’ exhibitions, reflect this.